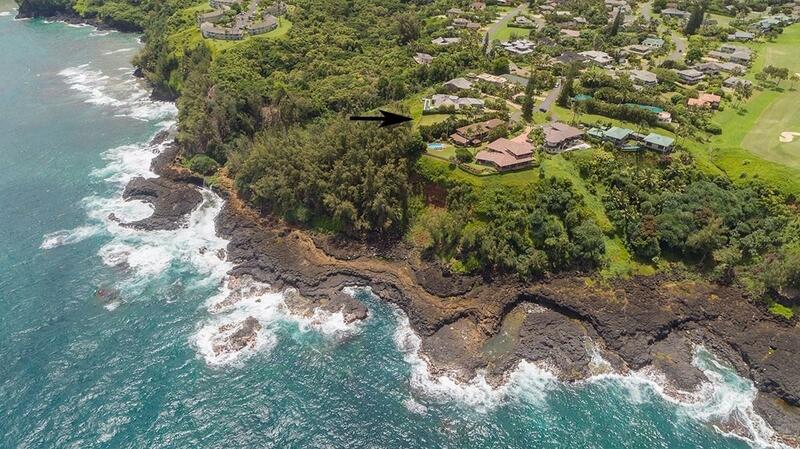 LAST OCEAN BLUFF LOT IN PRINCEVILLE IS NOW AVAILABLE. 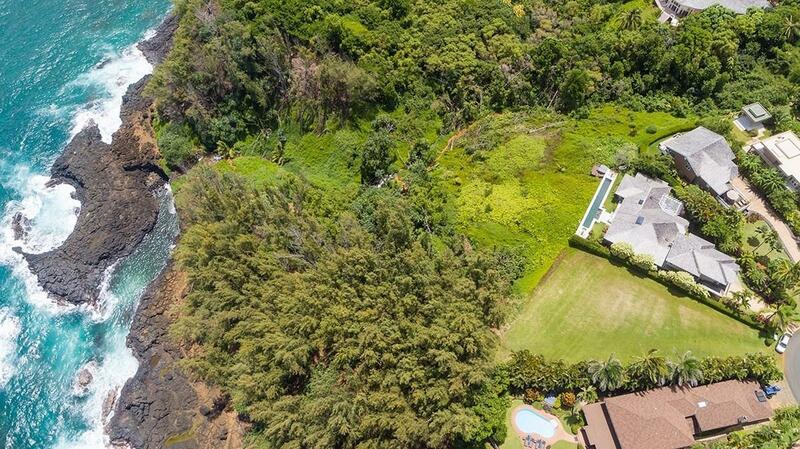 Located at the exclusive Punahele Road culdesac, this spacious and private 14,441 square foot lot enjoys over 136 feet of ocean bluff frontage over famous Queen's Bath on the north shore of Kauai's gorgeous coastline. This is a pie shaped lot with wide ocean frontage sloping gently down towards pleasant tradewinds and sounds of surf from the private entry. The especially premium size will accommodate an expansive custom home and infinity pool. Adjacent homes are nicely screened with mature landscaping further improving tropical seclusion. 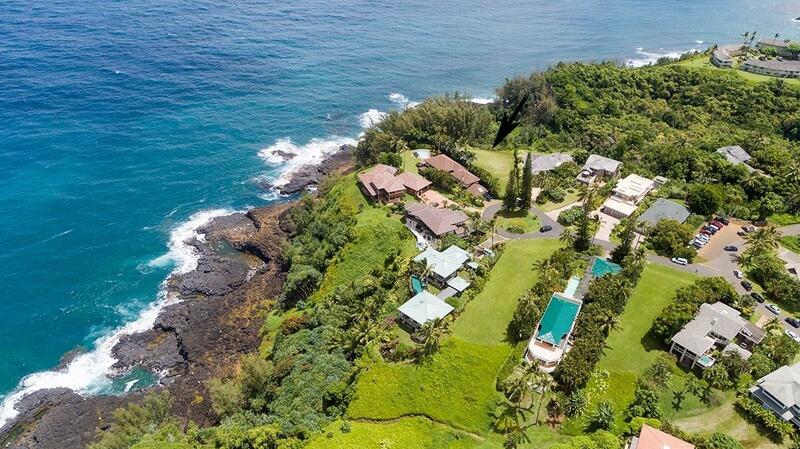 Panoramic ocean views of crashing waves are spectacular over a verdant valley enjoyed by nesting Hawaiian sea birds.This property is right over the ocean yet not exposed to flood threat. All utilities are underground and includes a sewer connection. Princeville is a Vacation Destination Area (VDA) so a future home here can easily be a vacation rental income property anytime desired. 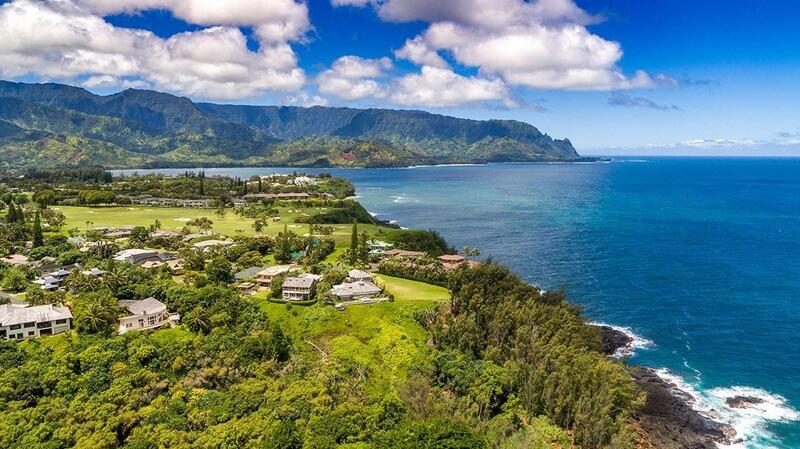 Resort amenities, Hanalei beaches, and epic surf are nearby.Do not miss this rare opportunity to own the last of the best home sites left on the spectacular north shore of Kauai.